Fridays at SafeCo, West wall edition! I am still debating whether or not to even attempt a post about last night’s game. Frankly, it was a bit of a downer for me – the two biggest factors being that I was constantly concerned about my not-waterproof camera for pretty much the whole night, and a run-in with some idiot out in the hall during the half absolutely ruined my mood for the remainder of the game – but I may decide to work on something later today if I get bored. I definitely didn’t give my full 90, and I feel poorly about it; but the weather, low blood sugar and the rudeness of a total stranger conspired against me. 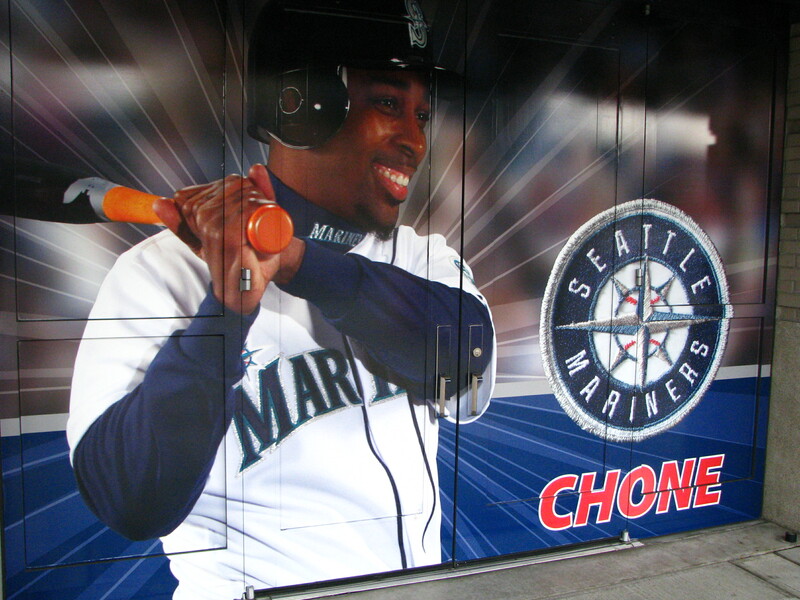 Smiling Chone Figgins! 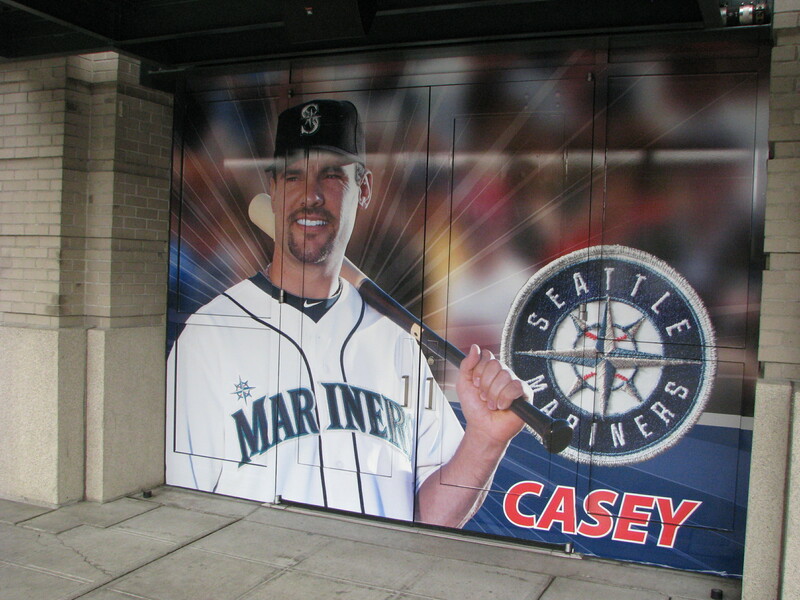 Is it just me, or does he have that sort of Griffey/Mike Cameron smiling thing going for him? The glare on this I apologize for, but hey, Cliff Lee! 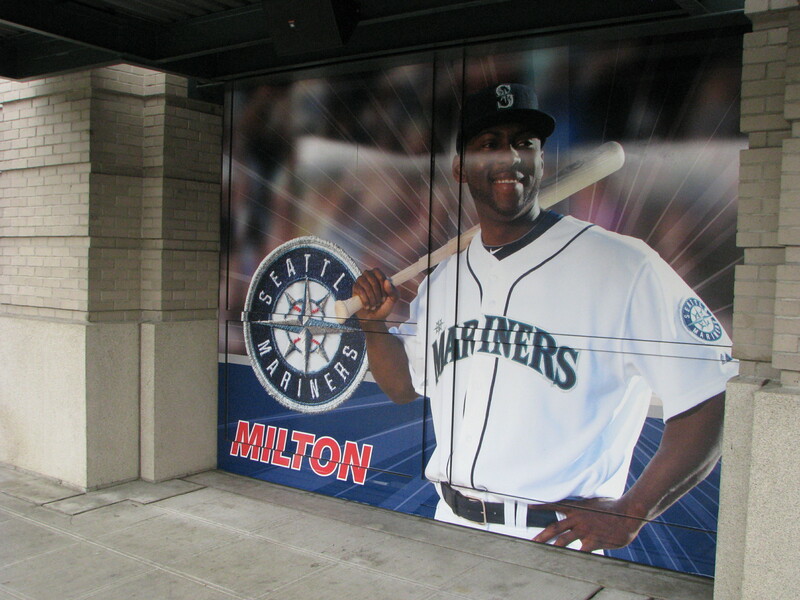 For a guy who’s supposed to be this awful person and clubhouse terror, Milton Bradley sure smiles a lot in pictures. One of my photography goals this year was to get a picture of Kotchman smiling, since I had never seen it. I need a new goal now. I have to admit, this one surprised me a little, though I’m not sure why. This one’s mostly for my friend Lisa. 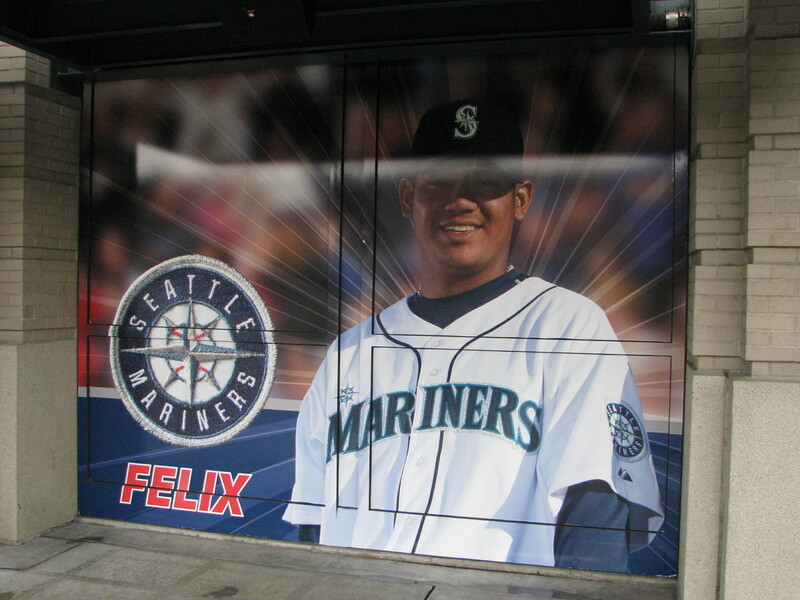 And the best for last – non-chubby Felix Hernandez! I found this article on Carlos Silva’s new outlook via Ryan Divish of the Tacoma News Tribune. I found it interesting, mainly for the light it cast on the Silva/Bradley trade. Rather than tear it down and bring sarcasm into it (which was my first response, to be honest), after very briefly exchanging messages with Divish over Twitter, I think I’m going to reserve judgment for later in the year; just sort of ride this out and see what happens on both sides. We are glad to be rid of Silva here, but Cubs fans are (obviously and vocally) glad to be rid of Bradley. Both were viewed as weak links in their respective chains, and both are viewed now as improvements over the other by their respective teams and fans. Only time will tell whether either side will be vindicated, or if everything comes crashing down. I’d love to be able to say that Cubs fans are wrong (since they’ve made it a point so frequently over the past few months to talk about how wrong we are), but I don’t know what this season holds. I can hardly wait to find out though. 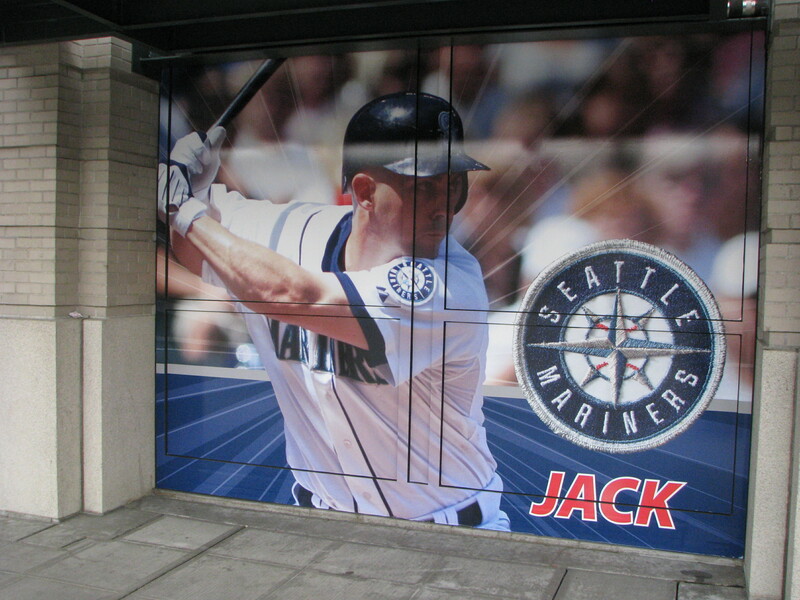 This entry was posted in 1 and tagged fridays at safeco. Bookmark the permalink. 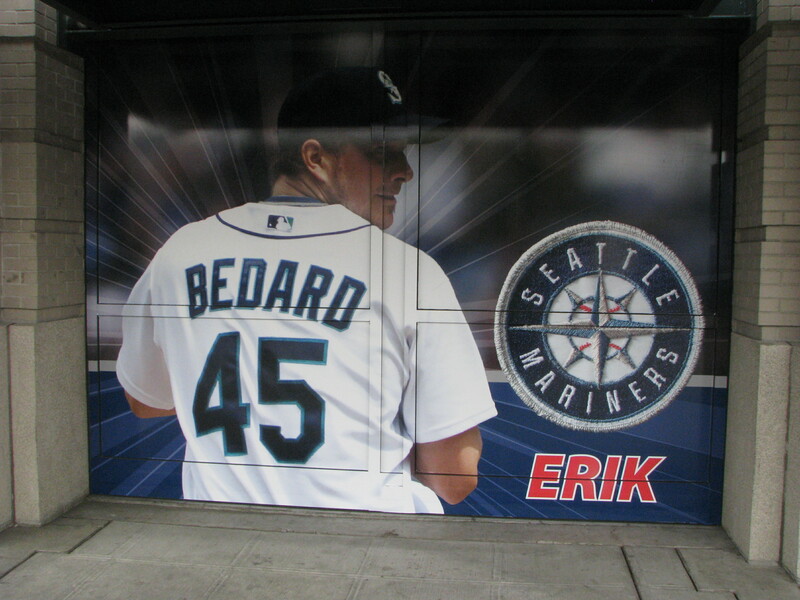 6 Responses to Fridays at SafeCo, West wall edition! 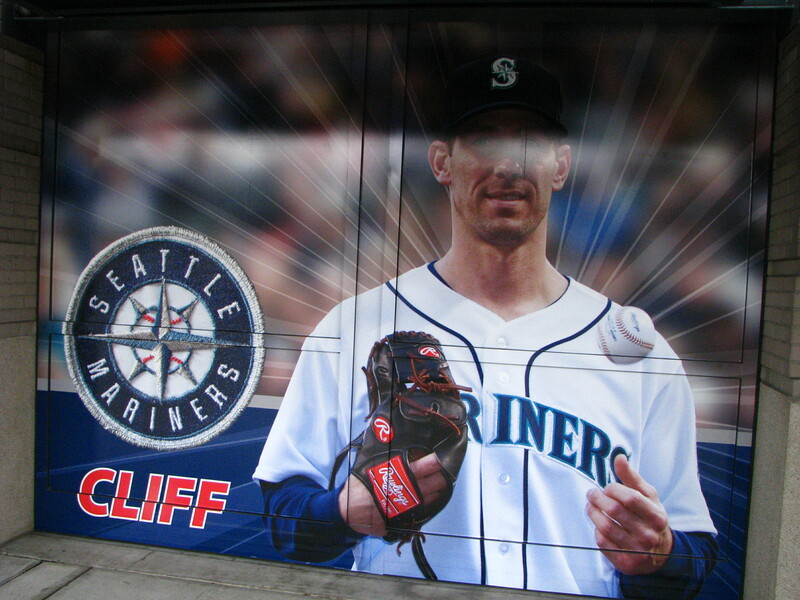 Did Griffeys board say “Ken” or “Junior”? I dunno why…but last year it said Ken, and it just didnt look right to me. I’m pretty sure it said “Ken”. I remember thinking that it hadn’t changed much, they’d just put the same sort of special effect dazzle stuff around the same photo from last year. That surprised me a little, too, just “Ken”. Seems like it should be “Junior”, but maybe they asked him and that’s what he wanted? Can’t believe they have Milton in that pose. That’s the same ridiculous pose they had me doing as a 10 year old in Little League. Still have the cheeseball refrigerator magnet from that set. So cheesy. But he looks so happy! haha!